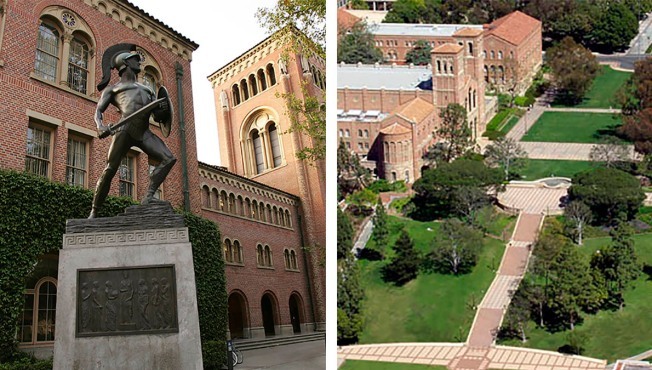 Undated file photos show the campuses of USC and UCLA in Los Angeles, Calif. Letters sent to the schools Monday and obtained by The Associated Press say the department is conducting a "preliminary investigation" to determine if they violated federal laws or rules surrounding the management of federal student aid. A department spokeswoman said the agency does not confirm or comment on ongoing investigations. Nicollette Sheridan is speaking her mind! 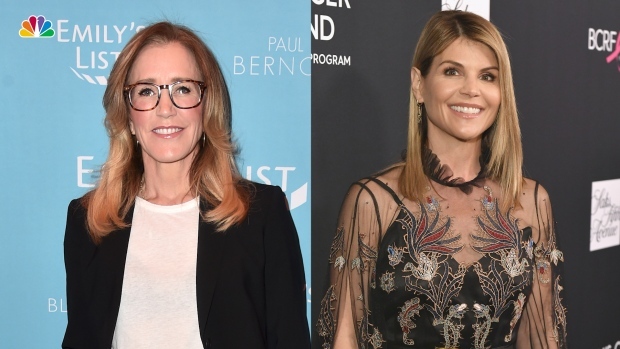 The actress stopped by Access Live and said she is "extremely disturbed" by former "Desperate Housewives" co-star, Felicity Huffman's "disgraceful" alleged involvement in the college bribery scam. Plus, she shares if the old cast is talking about the scandal. Among more than 30 people charged were parents, college sports coaches and athletics officials, but the schools themselves have not been charged in the case. The letter was sent to the presidents of: Yale, Wake Forest, Stanford and Georgetown universities, along with the University of Southern California; University of San Diego; University of Texas, Austin; and the University of California, Los Angeles. Several schools confirmed that they received the letter and said they are working to provide records and information requested by department investigators. The letter demands a wide range of information from colleges, including all admissions policies and marketing materials since 2009, and any records produced in response to a subpoena from another agency. It also requests information about any employee or student implicated in the scheme, including any disciplinary action taken against employees, and student applications, letters of reference, exam scores, and records indicating if they received federal student aid. "Please provide the institution's internal control policies and procedures pertaining to any audits or compliance reviews on the admission of students recruited for athletic teams at the institution since January 1, 2009," the letter said. It reminds schools that in order to receive federal student aid, they're required to establish procedures to manage it properly. They're also required to report any "credible" evidence of fraud. Schools found to have committed "substantial misrepresentation" can have their access to federal student aid limited or revoked entirely. The letter warns that those penalties apply to statements "made directly or indirectly to prospective students."